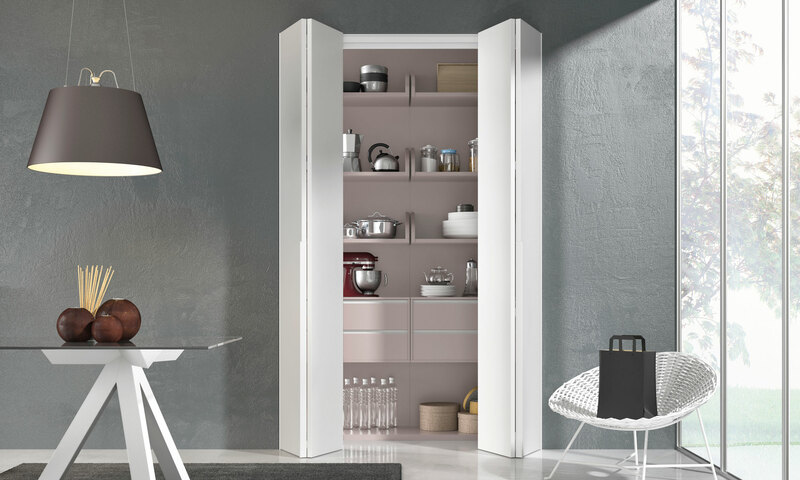 perfetta e in armonia con l’ambiente in cui si integra, è disponibile verniciata in laccato opaco o lucido, oppure in preziosa essenza di legno, a vostra scelta. MAGIKA is a unique product and both essential in shape and elegant in operations. 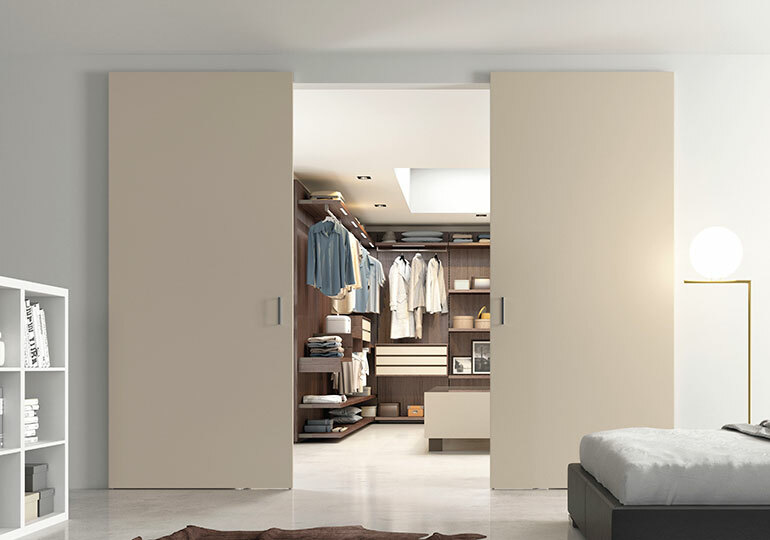 An element whose strength is in simplicity, a free sliding door, that uses a special invisible opening system. 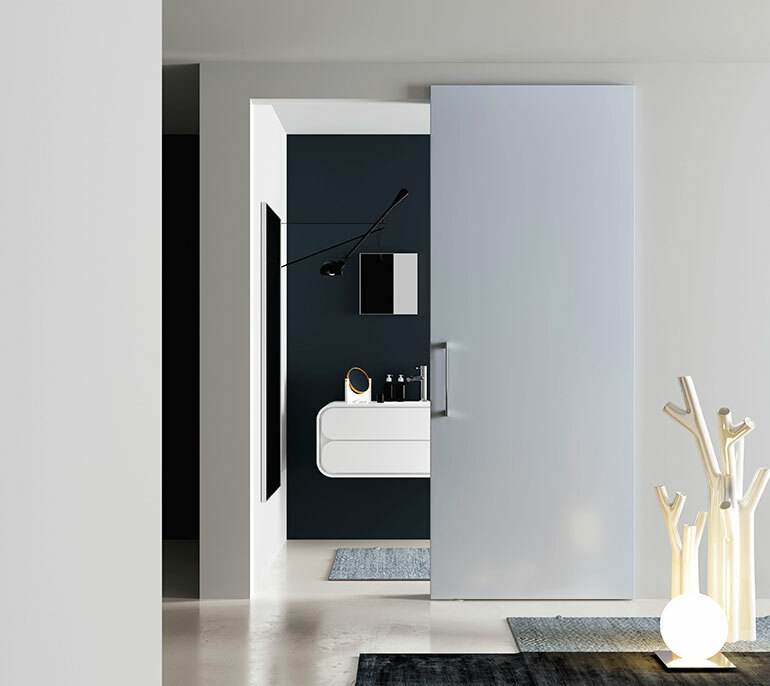 Aesthetically perfect and in harmony with the surrounding room, it is available opaque or glossy lacquered, or made of wood, the choice is yours. Copyright by Espace Design s.r.l.